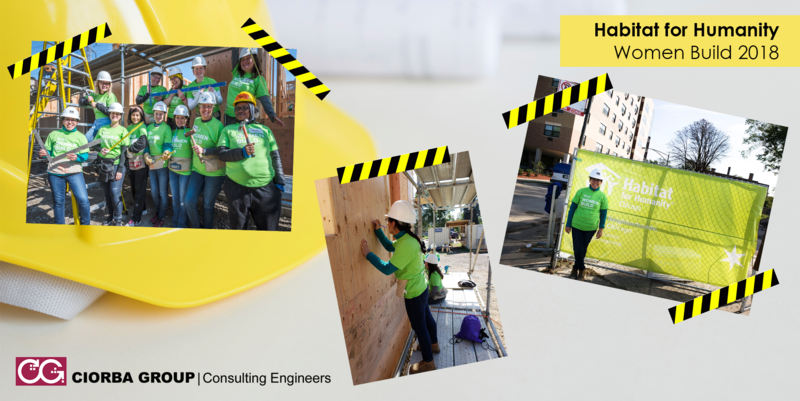 Karina Cisneros, Structures Engineer, strapped on her tool belt and joined with Habitat Chicago’s Women Build 2018 last weekend to begin building a home for a woman to achieve her dream of homeownership. Habitat Chicago’s Women Build is helping to break down barriers keeping women-led families from homeownership, and change women’s lives. Karina and her team exceeded their fundraising goals, and Karina was the team’s top fundraiser, raising 358% of her personal fundraising goal. In total, Karina’s team raised $7,650, and Women Build 2018 raised $243,558. Congratulations to Karina, we are so proud of your hard work and dedication to this worthy cause.